In this post, we are going to see how to compile/install PL/Java procedural language add-on module in PostgreSQL 11. PL/Java is a free add-on module that brings Java Stored Procedures, Triggers, and Functions to the PostgreSQL™ backend. The way it works today, when you write a PL/Java function, a compiled Java code(.class file) stored in Java archive file(.jar file), will be loaded into the database. When PL/Java function executes, it creates a JVM within the PostgreSQL server process and then asks the JVM to execute the byte-code form of function. It can also access a method of a Java class. However, PL/Java does not include a Java compiler or a Java Virtual Machine, those components should come as a separate sources, it just includes a set of deployment aids that makes it easy to install/manage server-side functions written in Java. Enabling PL/Java in PostgreSQL database has its own benefits and caveats – lets not get into those details here, however you can go through an article that explains in detail on PL/Java adoption here. Let’s start the installation steps. 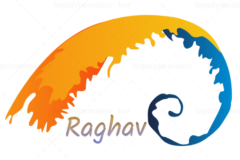 [root@rag-node1 ~]# cd /etc/profile.d/ [root@rag-node1 profile.d]# vi maven.sh [root@rag-node1 profile.d]# chmod +x maven.sh [root@rag-node1 ~]# source /etc/profile.d/maven.sh [root@rag-node1 ~]# mvn --version Apache Maven 3.6.0 (97c98ec64a1fdfee7767ce5ffb20918da4f719f3; 2018-10-24T18:41:47Z) Maven home: /usr/local/src/apache-maven-3.6.0 Java version: 1.8.0_201, vendor: Oracle Corporation, runtime: /usr/lib/jvm/java-1.8.0-openjdk-1.8.0.201.b09-2.el7_6.x86_64/jre Default locale: en_US, platform encoding: UTF-8 OS name: "linux", version: "3.10.0-957.10.1.el7.x86_64", arch: "amd64", family: "unix"
OS name: "linux", version: "3.10.0-957.10.1.el7.x86_64", arch: "amd64", family: "unix"
Install PostgreSQL v11 Yum Repository from PostgreSQL.org site. Setup database cluster and start. [root@rag-node1 ~]# psql -p 5432 -U postgres -d postgres -c "\dL"
After installing all dependencies, set the environment variables(gcc, java, pg_config, mvn) so they are in PATH to compile PL/Java. We are all set with dependencies. Download PL/Java tar.gz format from the release page here, and extract .tar.gz to directory. Run ‘mvn clean install‘ command in extracted directory. You should get above summary output from “mvn clean install”, which indicates all the dependencies are hooked with PL/Java. Now, run Pljava-packaging/pg11xxx jar file so that it will extract/produce needed files in PostgreSQL Library directory. As you can make out from the above output, it has produced a list of files(.jar, .so, .sql) in “/usr/pgsql-11/share/pljava” and “/usr/pgsql-11/lib”. pljava.classpath – Location where “pljava-1.5.2.jar” created in our last step. pljava.libjvm_location – Location where “libjvm.so” to load the Java RunTime. We know “pljava-1.5.2.jar” location, lets find “libjvm” for JDK 1.8.x on this machine. [root@rag-node1 ~]# find / -name "*libjvm.so*"
OK. Now, create PL/Java language in database. Nice!! Let’s do quick test by creating PL/Java function and run. Cool!! Hope it helps. Please feel free to leave comments. Thank you for reading.